At this point you have probably heard about the Vibram 5 Fingers lawsuit that has come to fruition with a $375 million class action suit. Now, let’s back up a second – the results you get from minimal footwear have less to do with the “shoes” and everything to do with how you use them. Even when you continually buy the same shoe brand, you wouldn’t go out and run 20 miles in the brand new pair, right? Very similar to suing Slim Fast because you can’t lose weight – yet, they claim you should be able to with their shakes. But, maybe you’re the one not using the product properly? Have you thought of it that way? Now, these perceived benefitcs cannot be measured and *varies* by individual. But, that’s the case with most marketing claims. And notice how it says *can*? So, why Vibram!? Why Now? In fact the Plaintiffs made the case that many purchased the shoes without realizing they would have to change their gait in order to receive the perceived benefits. And, Vibram charged a premium price without educating customers on how to use the barefoot running shoe properly to maximize benefits and avoid injury. C’mon, if you’re not an educated consumer it’s probably your own darn fault. Every person has different running habits. Each person has a different gait. Every foot is different. All this goes without saying. 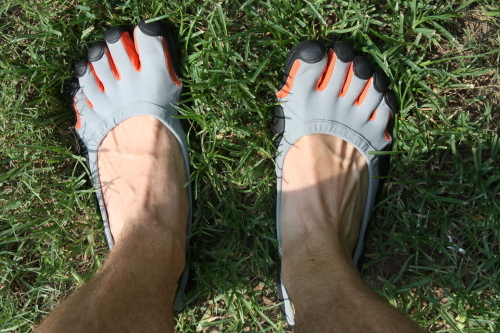 But, was Vibram for you? Did you like the barefoot running shoe? Personally I never joined the band-wagon. Nike Free was as minimalist as I went. And, you know what? That was a SLOW transition to strengthen my foot, ankle and calf muscles. So, I never went all the way 😉 Plus, the “toe shoes” look a little foolish (C’mon, they do!) 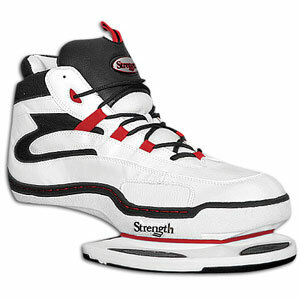 But, if you’re going to make a switch to any new shoe – educate yourself and take it slow for your body to adapt. Minimalist or not.